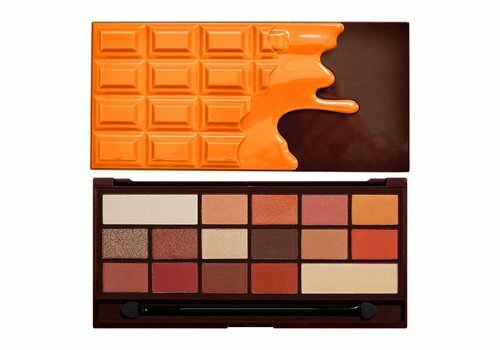 Buy the I Heart Chocolate Makeup Palettes online at Boozyshop. The make up webshop that makes online cosmetics shopping fun! #dupealert! The chocolate bar palettes from I Heart Makeup. The perfect chocolate bar that is also not expensive! 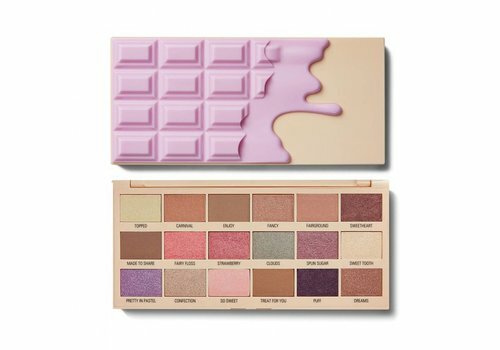 Free from calories and sugar, but with that delicious smell, creamy texture and guarantee for the most beautiful eye looks. 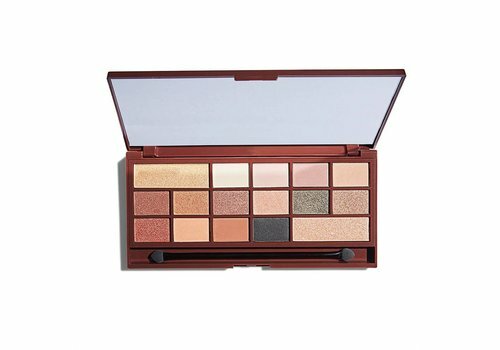 The palette contains 16 colors of eyeshadow, two of which have the format of a double eyeshadow. Enough to choose from! The eyeshadows are beautiful, good and not expensive! They apply intensely and blend easily. You can apply them best with one of our eyeshadow brushes or eyeshadow brushes sets! There is no less than a choice of 8 pallets, each of which is also very versatile. From palettes with soft and light cool colors, neutral colors to palettes with dark colors and warm tones.